WATCH: Cardi B Threatens to "Drop My Baby" to Fight a Nicki Minaj Fan! We all know how much Cardi B loves her baby girl, Kulture. She gushes about her all the time. That's what makes this so shocking to a lot of people. It's no secret that Cardi B is very open and transparent on social media. It's one of the things that we love about her. It's all one of the things that sometimes gets her into trouble...like right now. Cardi got into it on Instagram with one of Nicki Minaj's fans. 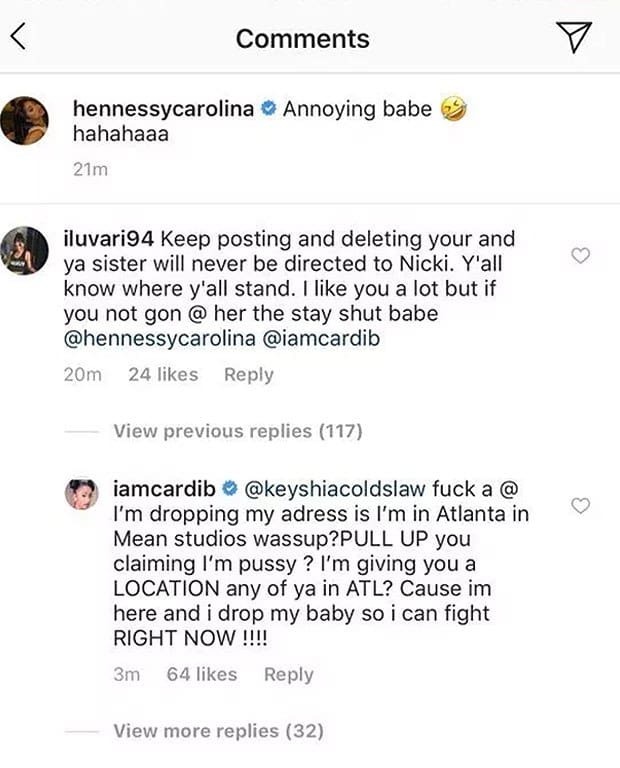 She posted her location, a studio in Atlanta, for the Barb to come and fight her. In that post; however, she spoke about dropping "my baby so I can fight." Word is, that statement got child protective services called on her.